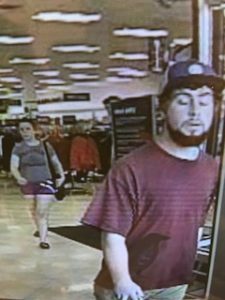 Williston Police are looking for the identity of a man who reportedly took a picture of a female under her dress while she was bending over Tuesday at the Marshalls store on Retail Way in Williston. Officer Scott Graham said he was called to the scene after another female customer confronted the man, who then reportedly left the area. Police distributed a photo of a red-haired man from a security camera Wednesday morning who they believe is the perpetrator. Anyone with information is asked to contact police at 878-6611.